Situated in the southeast of England, Gillingham is a town in Kent within the Medway unitary authority. With a population of over 100,000 and relatively affordable housing compared to other parts of Kent, there is a strong demand for property in Gillingham. At My Home Move Conveyancing we have been developing our knowledge of local property markets since 2002, enabling us to bring our clients in Gillingham a specialist, fixed fee conveyancing service. When buying or selling property in Gillingham, you will require the services of a lawyer to carry out the legal work on your behalf. Take advantage of My Home Move Conveyancing’ award-winning customer service, innovative use of technology and intimate knowledge of the local market, and let us act as your Gillingham conveyancers. Our conveyancing service is fixed fee, meaning you’ll know exactly how much you’re going to pay from the outset. 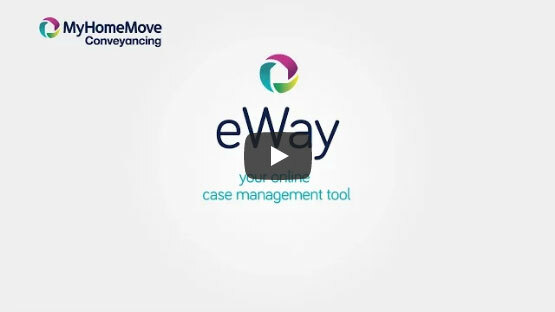 What’s more, if you don’t end up moving, you won’t have to pay us anything in legal fees. We assign each of our clients a dedicated conveyancer who will oversee your case from start to finish, providing you with a consistent point of contact along with regular updates on your progress. At My Home Move Conveyancing we are proud to supply our conveyancing services in Gillingham to customers across the local area, from those looking to move close to the town centre and the train station or by the River Medway with something off Pier Road. The average house price in Medway is £180,253, while the overall average sale price of properties in Gillingham during the past 12 months was £215,207. Most sales in this period involved terraced properties, which went for an average of £182,425. Semis sold for an average of £242,202 and detached properties for £359,676. Gillingham has grown from its origins as a small hamlet around the time of the Domesday Book of 1086, and has a history embellished with maritime and military importance thanks to its location on the south bank of the River Medway. The modern town still features its historic dockyard, while local conveniences such as the Pentagon shopping centre provide residents with easily accessible amenities. There are some highly rated schools in the area to boost Gillingham’s appeal to families with children; primary options include Bredhurst CofE, St Mary the Virgin CofE and Kings Bastion’s Brompton-Westbrook Primary. Rainham School for Girls, the Howard School on Derwent Way and Gillingham School are among the area’s highly rated choices at secondary level. MidKent College provides further education in the town, which also plays host to the Universities at Medway campus that offers higher education facilities. Gillingham offers a strong location close to the southeast English coast, particularly as the M2 motorway runs to the south of town and heads east towards seaside spots such as Margate and west towards London. The capital can be reached in less than 45 minutes due to the high speed train links to St Pancras station, making Gillingham a viable place to live for commuters; slower services take just under an hour to reach stations such as Cannon Street and Victoria. All properties in Gillingham will fall within one of the following council tax bands.